Do you give chemo to dogs or cats in your veterinary clinic? In today's VETgirl online veterinary continuing education blog, we review how to safely give chemotherapy in veterinary patients. Today's guest blogger is Dr. Kristin Kicenuik, DACVIM (Oncology) from Hope Veterinary Specialists. Occupational exposure to chemotherapy agents is believed to have important and potentially devastating effects on human health. Veterinary healthcare workers risk exposure via skin absorption, inhalation or ingestion when they are handling drug vials; compounding, administering or disposing of hazardous drugs; cleaning up spills; or handling bedding or waste of treated animals. So how do we keep ourselves and our team safe while providing this much needed treatment to our patients? Biological safety cabinets (BSC) describe a variety of containment devices equipped with HEPA filters which are designed to provide personnel or both personnel and product protection from biohazardous materials. For the preparation of chemotherapy agents, Class II type B or Class III cabinets are recommended which protect both worker and product. Practices that lack a BSC of their own should either identify a facility with a BSC to prepare the drugs and have the prepared drugs transported to their facility or refer such patient to a center where hazardous drugs can be prepared safely within a BSC. Hands and mucous membranes must be covered when chemotherapy drugs are being reconstituted and administered, during disposal of chemotherapy administration waste and residual chemotherapy, and when handling the bodily fluids of treated patients. It is also critical to emphasize to owners the importance of wearing gloves when handling oral chemotherapy. CSTD is a drug transfer device that mechanically prohibits the transfer of environmental contaminants into the system and escape of hazardous drug or vapor outside of the system, thereby preserving the sterility of the product while preventing the escape of hazardous drugs. In 2004, the National Institute for Occupational Safety and Health issued an alert recommending the use of closed system transfer devices in combination with PPE and BSC. Two FDA-approved CSTD marketed to veterinary oncologists, Equashield™ and PhaSeal®, use double membrane connectors for drug transfer to ensure dry connections and have demonstrated efficacy in preventing leakage. A multi-institutional experimental simulation study evaluating the efficiency, ease of use and cost of administering chemotherapy with these two closed system transfer devices, showed that CSTD does not increase administration time of IV bolus chemotherapy and both systems were readily accepted and recommended over no CSTD by veterinary technicians who administered chemotherapy as part of their primary job responsibilities. 4. Establish policies and procedures and follow them! Eating, drinking, and gum chewing should not be allowed in an area where chemotherapy is being prepared or administered. Hazardous drugs should only be reconstituted and administered by trained personnel in designated areas. For drugs that are kept refrigerated, a designated small refrigerator should be used. Never put these drugs in a refrigerator with your ham sandwich! Plastic-backed absorbent disposable pad should always be placed beneath the patients' catheterized limb in case of drug leakage. Chemotherapy waste (e.g. used syringes, gloves, empty bottles) should be managed separately from the main waste. 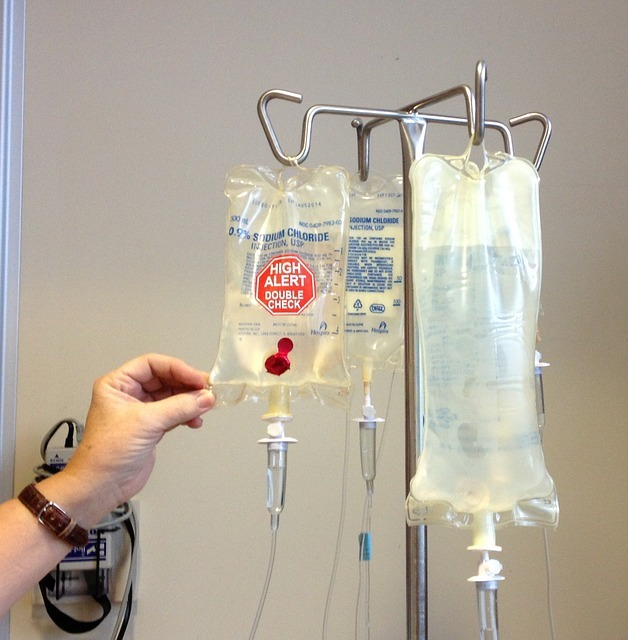 Whenever chemotherapy is to be administered, have ready a "Spill Kit" containing PPE, cleaning materials, and approved container for cytotoxic waste and sharps. Oral chemotherapy pills should never be split or broken. When in doubt, keep you and your patients safe! 1. OSHA . Controlling Occupational Exposure to Hazardous Drugs. Occupational Safety and Health Administration (OSHA). OSHA Technical Manual, TED 1-0.15A, section VI, chapter 2. 2. NIOSH . NIOSH alert: preventing occupational exposure to antineoplastic and other hazardous drugs in health care settings. Cincinnati, OH: U.S. Department of Health and Human Services, Centers for Disease Control and Prevention, National Institute for Occupational Safety and Health, DHHS (NIOSH) Publication No. 2004-165.